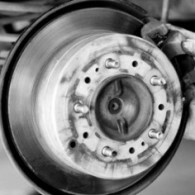 Brakes are without doubt the most important part of your vehicle, a brake check is part of your vehicle servicing and shouldn’t be left only to when you have your MOT. We offer a totally free brake check to any vehicle, so if you’re in or around Nottingham there’s really no reason not to pop down to our garage for a check up. It is important you know what to look and listen for if you ever have any issues with your brakes. uid will also be topped up if required. If any brake related work is carried out on the vehicle after the inspection the price of the inspection will be deducted from the final invoice. If you have any problems or want a free inspection call us on 0115 9268368 or use our online booking system, alternatively if you would like a quote or you have any questions regarding your brakes, you can also fill in the form below and we will aim to respond within 2 hours during work hours.